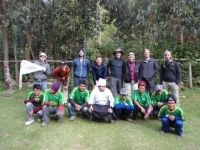 We had a great time on the Inca Trail, from the start we were well looked after. The porters and the guide did an amazing job. We would not have been able to do it without them!! 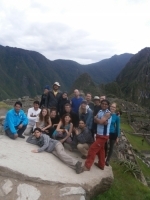 Inca Trail Reservations were great and I would definitely recommend them. 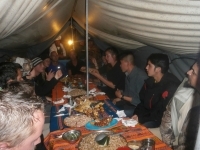 The guides were great, really funny and reassuring which put me at ease throughout the trek. This trek was definitely a highlight of my trip so far. 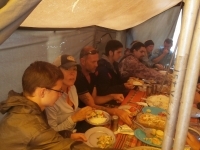 The tour guides made our whole group feel very comfortable and therefore we all got on very well, which made the experience so much more enjoyable. 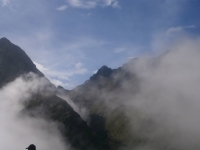 I had a really great time doing the Inca Trail to Machu Picchu. The tour guides were really good and I am really grateful of the porters and all the work they put in. 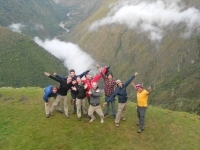 The Inca Trail tour was an amazing adventure for us. It was difficult but worth every minute and every cent. 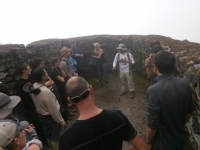 I really liked the Inca Trail we just finished. Everything was arranged as it should be. The pickup was on time, they brought us to km 82 were we started. Our guide Richard was nice, he was speaking proper English and he knew everything he needed to know. The trek was an experience of a lifetime. 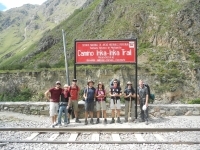 The trail was not as hard as I expected but I was glad that I did it with "Inca Trail Reservations". The food was a lot better than I expected, and the tour guides were great. 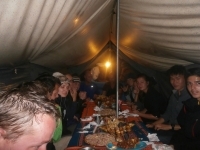 I had an amazing experience being a part of the Inca Trail group that left on the 3th of April, and came back on the sixth. Fantastic hike. Go lite, take only your essentials, unless you already have a porter to carry everything for you, in the office they will tell you bring lots but the hike is very intense in parts so one wet outfit and one dry is enough. To begin with, don't let them talk you into bringing too much! Because you will hire a porter because it is that hard! Our Guide was hilarious... always cracking the funniest jokes!!! I will never forget the food!!! I thought i would loose some weight on this trek and i actually gained weight!!! The food was amazing. We booked the Andean Adventure tour for our honey moon trip to Peru. The Inca Trail hike 3N-4D was part of this tour. Overall, the experience was absolutely fascinating! It was a challenge that ended with an amazing sunrise at the Sun Gate with view on Machu Picchu. It was a dream come true!